Please read these Terms and Conditions carefully before using the https://christianjournal.net website (the "Service") operated by The Christian Journal. Some parts of the Service are billed on a subscription basis ("Subscription(s)"). You will be billed in advance on a recurring weekly, monthly or yearly basis. The subscription fees are non-refundable. You will be billed until you cancel your recurring subscription. The Christian Journal offers you the ability to pay using your credit card or Paypal. When using the payment portals you agree to their terms of service. The Christian Journal is a fully secure site with a reputable SSL certificate. As the user you may cancel your subscription at anytime. We are subject to change the price and will notify all users before doing so, if this were to occur. After the trial period for the basic membership plan you will be billed $1 per week on a recurring basis, using the information you provided when signing up, if you would like to cancel after you trial period is up, you reserve that right and you will not be billed. Should an error occur after your cancelation, you will be refunded for the total amount incurred which will be $1. Our Service allows you to post, link, store, share and otherwise make available certain information, text, graphics, videos, or other material by creating an account or commenting. The Christian Journal reserves the right to terminate access to any users that abuse the The Christian Journal website. You agree that all information supplied by you during the registration process is accurate, current, and complete, and that you have the authority to bind any business or entity in whose name you have created an account. Inaccurate or incomplete registration information may result in suspension of your account. You are solely responsible for maintaining the security of your Account and for all activity that occurs under your Account. You agree to notify us immediately if you suspect any unauthorized access to or use of your Account. Our Service may contain links to third­party web sites or services that are not owned or controlled by The Christian Journal. The Christian Journal has no control over, and assumes no responsibility for, the content, privacy policies, or practices of any third party web sites or services. You further acknowledge and agree that The Christian Journal shall not be responsible or liable, directly or indirectly, for any damage or loss caused or alleged to be caused by or in connection with use of or reliance on any such content, goods or services available on or through any such web sites or services. Member exclusive content may be streamed an unlimited number of times. Content available via a subscription may be streamed an unlimited number of times during the subscription period. Member exclusive content may be viewed on any compatible device. Please review the minimum technical requirements for streaming prior to subscribing. The quality of your viewing experience depends on any number of factors, including your viewing device and available bandwidth. The Christian Journal makes no guarantees regarding the viewing quality of any video. If you experience technical difficulties streaming or downloading a video, please contact The Christian Journal for assistance. The Christian Journal may in its sole discretion refund your purchase or subscription price, but is under no obligation to do so. When you make a purchase you are granted rights and license to stream videos as permitted by The Christian Journal and this Agreement. You acknowledge that unless otherwise expressly stated by The Christian Journal, videos are intended for your personal, private, non-commercial use only; you may not use any video for any commercial purpose or for public display. Your purchase does not constitute an assignment or transfer to you of any intellectual property rights in any video or any elements thereof. Specifically, unless otherwise expressly authorized by The Christian Journal, you shall not copy, distribute, publicly perform or display, sublicense, sell, rent, lease, broadcast, or otherwise assign or transfer any video or any rights therein to any third party. This Agreement remains in effect from the moment you create your Account until terminated by you or us. You may terminate this Agreement at any time by canceling your Account. We reserve the right to (i) terminate or restrict your Account and/or access to The Christian Journal, and (ii) remove or restrict access to any video, for any reason for no reason whatsoever, including if we in our sole discretion consider your use of The Christian Journal to be in breach of any term of this Agreement or otherwise unacceptable. We may, but are under no obligation to, provide you with a warning prior to such termination or restriction. We will not be liable to you or any third party for termination or restriction of your Account and/or access. We reserve the right, at our sole discretion, to modify or replace these Terms at any time. If a revision is material we will try to provide at least 15days' notice prior to any new terms taking effect. What constitutes a material change will be determined at our sole discretion. The Christian Journal IS ON AN “AS IS” AND “AS AVAILABLE” BASIS, WITHOUT WARRANTIES OF ANY KIND, EITHER EXPRESS OR IMPLIED. The Christian Journal DISCLAIMS ALL WARRANTIES, EXPRESSED OR IMPLIED, INCLUDING, BUT NOT LIMITED TO, IMPLIED WARRANTIES OF MERCHANTABILITY, FITNESS FOR A PARTICULAR PURPOSE, AND NON-INFRINGEMENT. The Christian Journal does not warrant or make any representations of any kind regarding The Christian Journal, or the use, validity, accuracy, or reliability of, or the results of the use of, or otherwise respecting, The Christian Journal or any video available thereon. Your use of The Christian Journal is solely at your own risk. 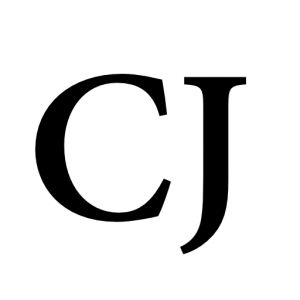 The Christian Journal also makes no representations or warranties that The Christian Journal will be uninterrupted or error-free, or with respect to services available through The Christian Journal.